Expect more from your ticketing system! Start selling tickets and earning revenue in minutes with guided step-by-step instructions. Improve your cash flow. Online payments are deposited to your account as soon as 2 business days. 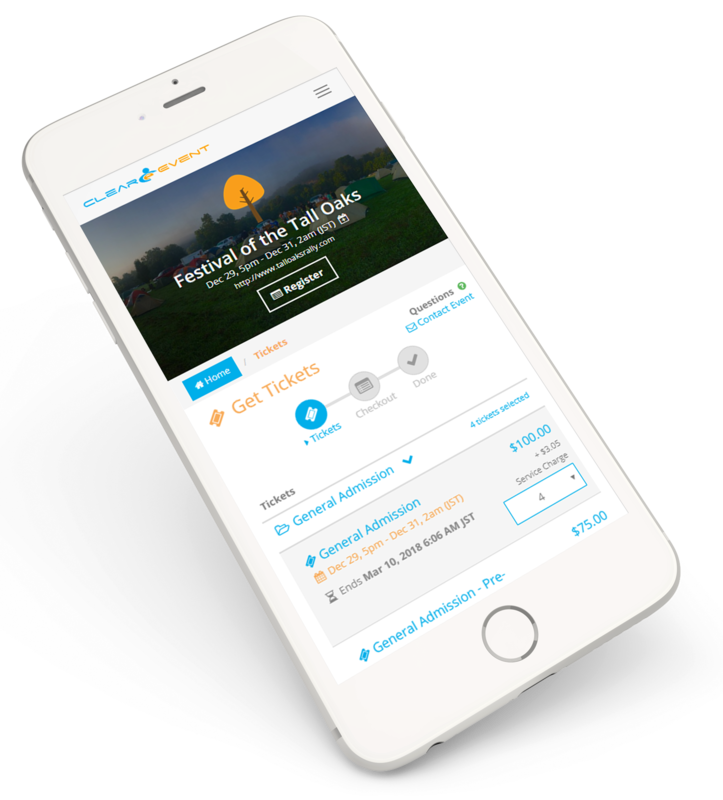 Sell tickets through your own, easy-to-update, mobile event web app anytime, anywhere. Know exactly how tickets sales are doing at any time. 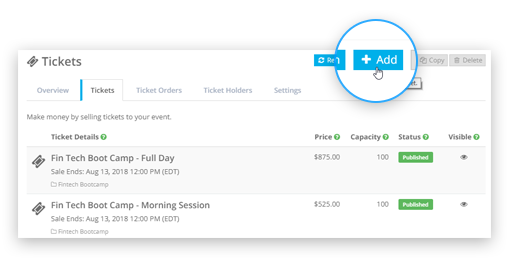 Your event budget is updated in real-time, allowing informed & timely decisions. 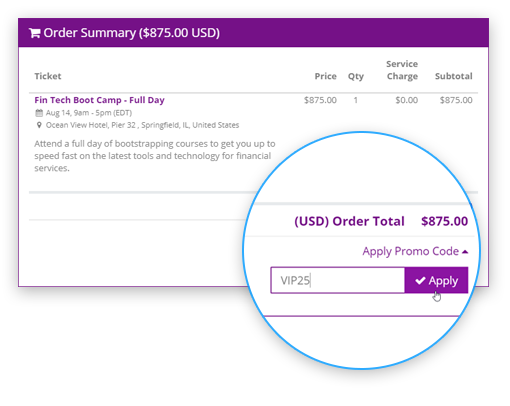 Promo codes allow discounts to key individuals for online purchases so your event looks professional and sophisticated for your VIPs. 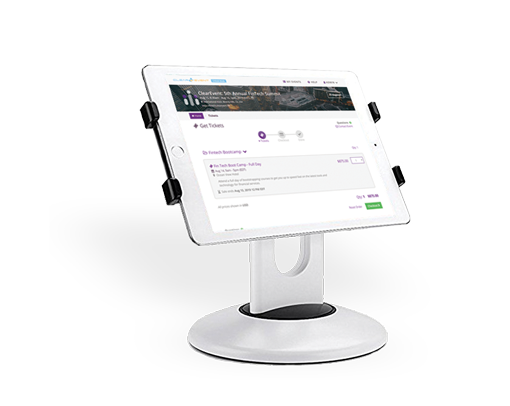 Our Kiosk Mode feature provides new revenue opportunities for your event by providing a simple tool to enable on-site self-service registration & ticket sales. + $0.70 per ticket sold. Pass on the fee, or absorb it. Capped at $15 per paid ticket sold. No setup, recurring or hidden fees. No fees for free tickets. Free for small events (2 event managers) & affordable subscription plans for larger events. 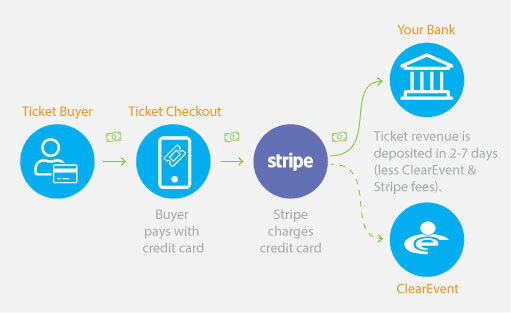 Stripe credit card fees apply. 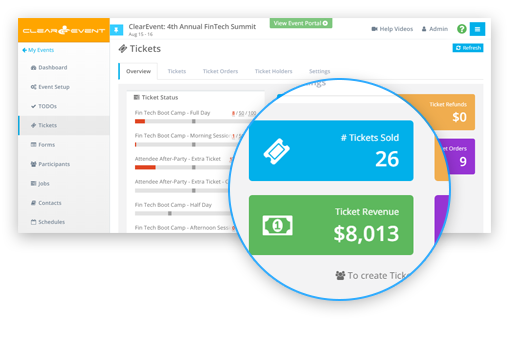 More than just a ticketing platform, ClearEvent offers a full suite of amazing tools that simplify event management. Powerful planning, logistics & collaboration tools are alsp included, at no additional cost. Register participants, accept online payments, and manage registrations. Share personalized event details to any mobile device using the built-in event app. At-a-glance dashboards show your event’s progress in real-time. Security is a feature at ClearEvent, not an afterthought. PCI Compliance, data encryption, and multiple layers of security keep your data safe. We’re event organizers too! Our experienced support team has been in your shoes and we’ll make getting started with ClearEvent simple, easy and enjoyable! Ready to start planning your next ticketed event?